GNOME CHOMSKY II - Additional Views - Just Say Gnome! 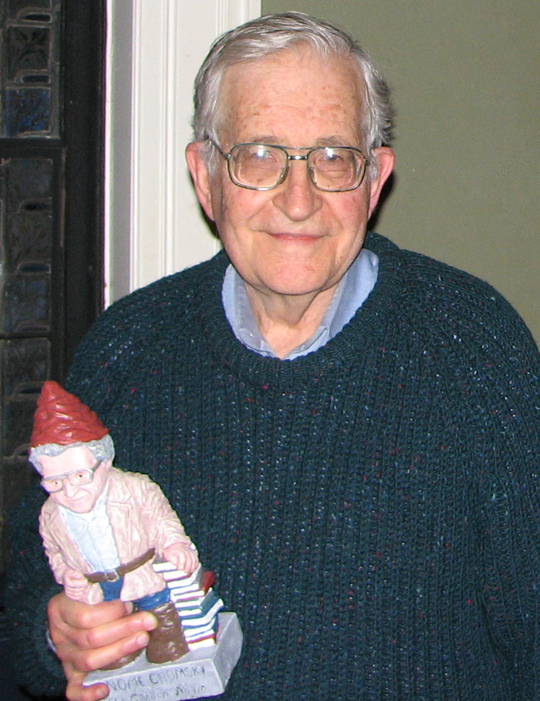 NOAM with a NOAM GNOME! Please do let me know ﻿by email﻿ if you're especially interested in ordering one. The prices when they are available are $228 painted and $96 unpainted (+ shipping in each case). For International shipping please contact me directly via the 'Contact Us' page to work out the specific shipping costs and appropriate time frame and method of payment.